A 24-year-old model from Larissa Theodora Soukia was crowned Miss Hellas 2017 on 25th July 2017 and will now represent southeastern Europe country at Miss World 2017 pageant on 18th of November in Sanya, China. She studied Forestry and Wood technology at the Mendel University in Brno, Czech Republic. Theodora stands 5'7 1/2 tall and works at the Aristotle University of Thessaloniki. 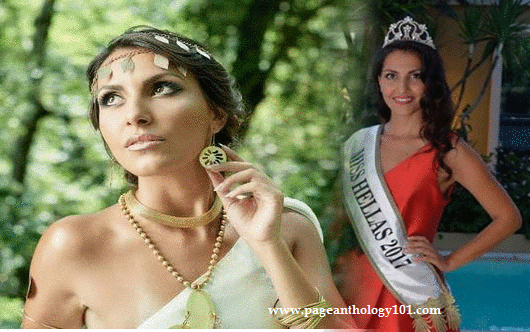 Soukia is determined to bring home the second Miss World crown of Greece.